With Figured you've got the ability to see the value of your livestock in real time. 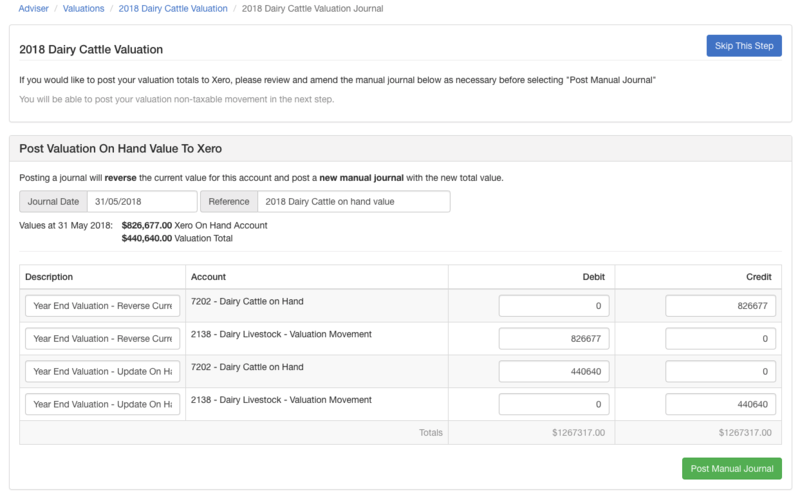 This tool is used for calculating and posting your year end Livestock valuation journal to Xero. End of year valuations can be found under the Adviser tab of your farm. Before you get started with your valuations, you'll need to first configure your valuation settings. NOTE: This is only used for herd scheme valuations. If you're using management valuations, you will want to enable values to be included in reports. The final thing you'll need to select is the valuation method you wish to use. For New Zealand, you select a single default method (market value, NSC, or herd scheme) but you've got the ability to use a combination of all 3. If you're using NSC you have the option to setup custom NSC groups, you can find out more about setting those up here. After your settings have been completed, you're ready to move on to complete your end of year valuations! To begin with, all livestock will be allocated to your default scheme (configured in your settings). 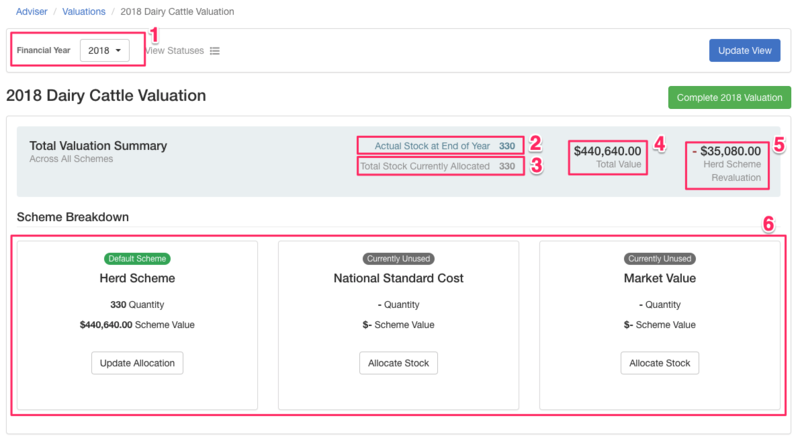 You can then re-allocate that stock or change its on hand value (for NSC and market value) by clicking allocate stock. 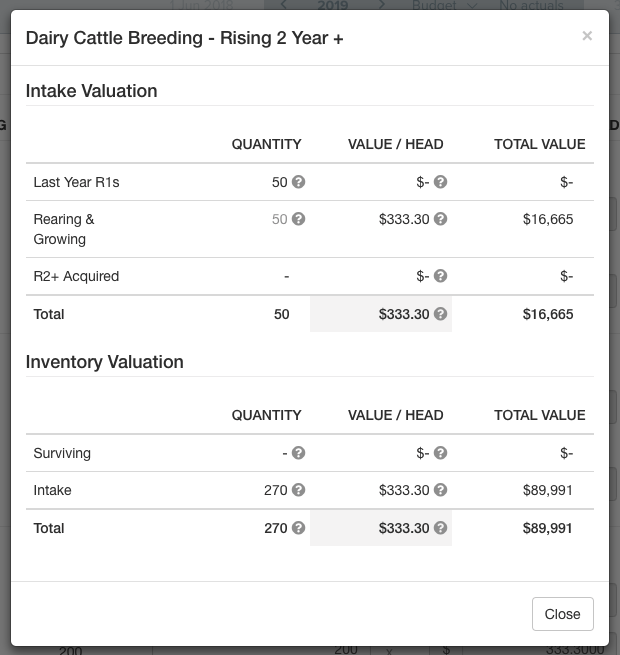 You can also adjust the quantity / value of livestock assigned in each column. Once happy with your values, select save and go back. Otherwise, you can discard changes too. NOTE: If you want Figured to calculate revaluations (i.e. for herd scheme), you must complete the prior years livestock valuations. This is recommended to do for all new clients on Figured. 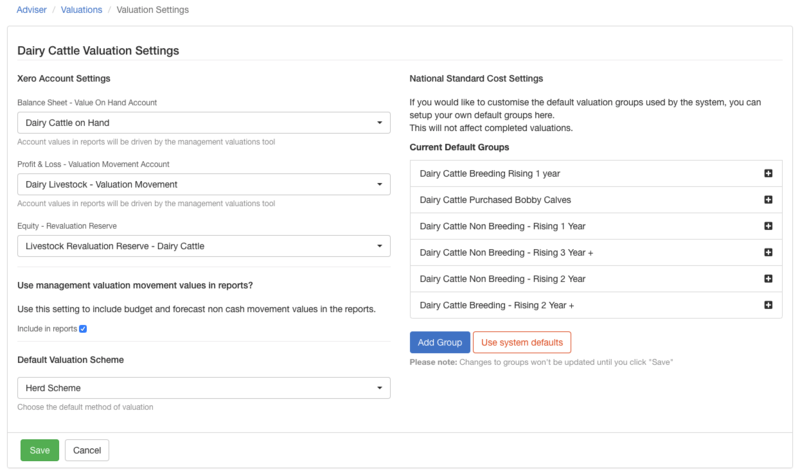 Due to the complexities that arise with NSC, Figured gives you the flexibility to create custom pricing groups for each of your livestock classes, and the valuation screen differs slightly to other valuation methods. Each livestock class is split apart based on the groups you've setup in your valuation settings (either default or custom). 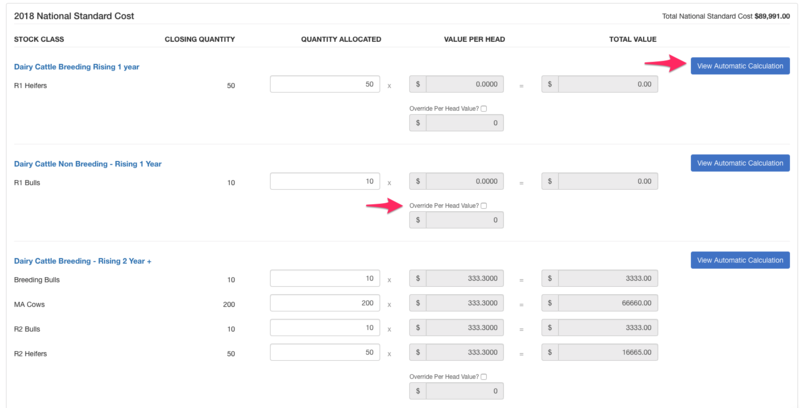 You've got the option to view automatic calculation which will break down why you're seeing the value per head that you are. If for some reason the calculated per head value isn't correct (which it may not be for a variety of reasons - different model of NSC, no prior year valuations, etc), then you can override these per head values. Before you lock and complete your valuations, you'll want to do a quick check that your stock allocated matches up with your stock on hand. Once happy with your valuations, click complete valuations. You'll then be taken through the process to post across your valuation journals to Xero. Submitting a journal will reverse the existing current value and replace it with your new current value. If you're using herd scheme, you'll have an additional step where you will be able to post your revaluation across to Xero too. NOTE: If these values already exist in Xero, you can skip either journal posting step which will not update Xero.